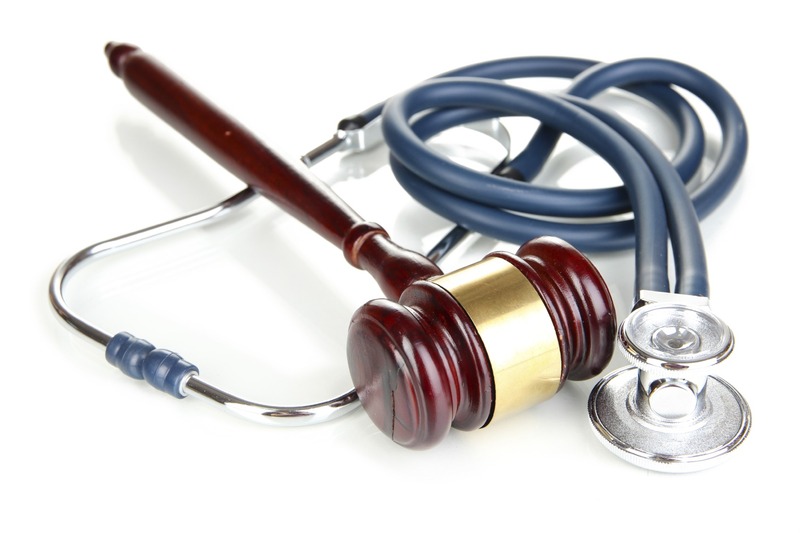 Medical Malpractice Help » Lawyer » Failure To Diagnose Malpractice » Can Patients File Malpractice Lawsuits For An Osteomyelitis Misdiagnosis? Osteomyelitis is an infection of the bone or bone marrow and is usually caused by bacteria. Patients typically suffer from deep pain and muscle spasms in the area of inflammation, and proper diagnosis is crucial for a patient to recover. Misdiagnosis can lead to recurring chronic osteomyelitis, the need for amputation, or even death in more severe cases. Trauma or surgical procedures may result in a bacterial invasion or soft tissue damage. When the soft tissue is damaged, the skin can no longer act as protection against bacteria. The combination of bacterial infection and secondary soft tissue damage during a surgical procedure more often lead to an infection than does the primary injury with bacterial contamination and soft tissue damage. Bloodstream: Germs can travel to a weakened spot in the bone from areas in other parts of the body. Infection: Germs can enter the body through a severe puncture wound and cause an infection to a bone. Contamination: Surgeries that replace a broken bone or that have direct contact with your bone may be contaminated during the procedure and an infection may result. About 62 percent of chronic bone infections are caused by trauma, 24 percent are distributed by the bloodstream, and 14 percent originate from the spreading of a chronic skin ulcer. Patients may have sustained a deep puncture wound that can provide a pathway for bacteria, leading to a possible infection. Disorders and medical conditions that impair the immune system can increase the risk for a patient to contract osteomyelitis. Patients with organ transplants, poorly controlled diabetes, or who are on chemotherapy are at a greater risk for bone infection. Patients who have sickle cell disease, peripheral arterial disease, or diabetes may be more vulnerable to infection because the body cannot effectively distribute infection-fighting cells if blood vessels are damaged or blocked. Urinary catheters and dialysis machines can serve as a pathway for germs to enter the body and can eventually lead to the development of osteomyelitis. Obesity, nicotine and alcohol abuse, age over 65, and cancer may lead to suppression of the cells that are needed to fight infection. Physicians and medical staff that do not take these risk factors into consideration can put a patient at risk for bone infection. Before a medical procedure, a physician should access the patient’s history, previous medical conditions, and current medical conditions to ensure patient safety. About 85 percent of patients with bone infection experience fevers, and the rest do not show a rise in temperature. Osteomyelitis can be present even when the white blood count or the CRP is not elevated. Infection normally develops within two weeks of injury, initial infection or the start of an underlying disease. A course of antibiotics or antifungal medicines typically treats the bone infection. Infection develops within one or two months of an injury, initial infection, or the start of an underlying disease. Treatment varies with the severity of the infection and the degree of bone damage. If bone damage is present, treatment will usually require surgery and antibiotics. If there is no bone damage, treatment is typically similar to that of acute bone infection. Infection develops at least two months after an injury, initial infection or the start of an underlying disease. Treatment includes a course of antibiotics along with surgery. Septic Arthritis: Bone infection can spread to a nearby joint. Skin Cancer: Osteomyelitis that results in an open sore that is draining pus can increase the surrounding skin’s risk of developing squamous cell cancer. Bone Death and Amputation: Infection can impede blood circulation within the bone, which causes bone death. If a large portion of the bone has died, the limb may need to be amputated to prevent spread of the infection. Any cuts or scrapes on a patient should be immediately cleaned and covered with a clean bandage. Patients should talk to their doctor about their medical history that may make them more vulnerable to infection. Wounds from procedures should be carefully monitored for signs of infection to prevent the potential development of osteomyelitis. Nordqvist, Christian. “What Is Osteomyelitis? What Causes Osteomyelitis?” Medical News Today. MediLexicon International, 02 Oct. 2010. Web. 03 Jan. 2013. Tiemann, Andreas H., and Gunther O. Hofmann. “Principles of the Therapy of Bone Infections in Adult Extremities.” National Center for Biotechnology Information. U.S. National Library of Medicine, 03 July 2009. Web. 03 Jan. 2013. “Osteomyelitis.” Children’s Hospital of Pittsburgh. Web. 03 Jan. 2013.